Statement of G. Keith Funston, President, New York Stock Exchange, Before theCommittee on Banking and Currency, United States Senate. - IFA Vintage and Current Book Library - Index Fund Advisors, Inc. 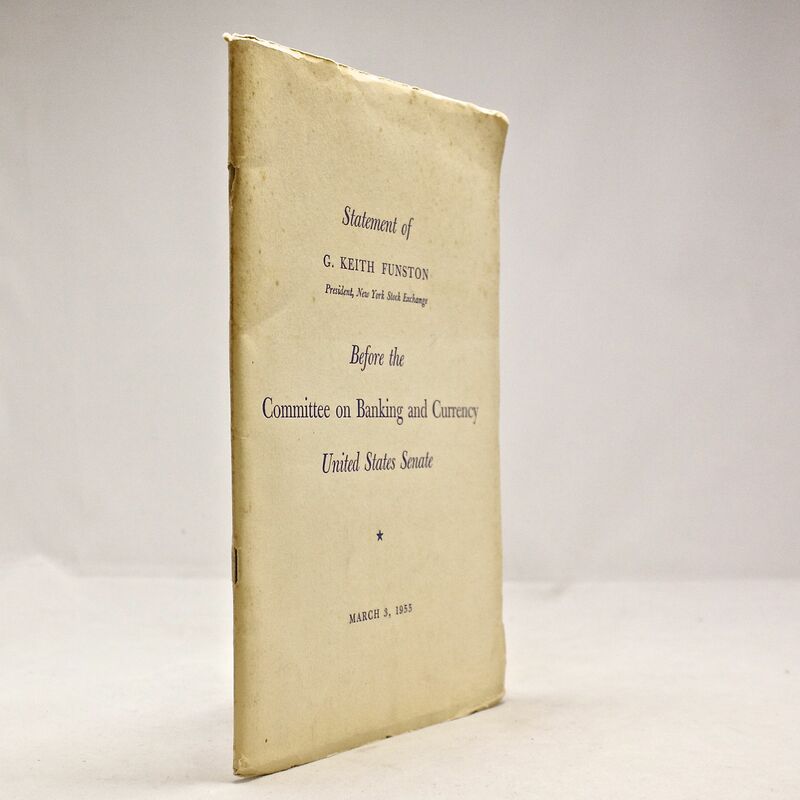 Statement of G. Keith Funston, President, New York Stock Exchange, Before theCommittee on Banking and Currency, United States Senate.